Cruel… sneaky… disgusting… Goblins tend to get a bad rap. You can’t really imagine them being the next big thing in paranormal romance. If a vampire is a hot teenager who’ll steal your heart, a goblin is an annoying younger brother who’ll steal your hair straighteners, trash your room and terrorise the cat. Read a book with goblins in it, and the odds are you’ll find them squabbling, farting and nicking stuff. They don’t fly. Don’t drink blood. Don’t turn into wolves or lure handsome sailors to watery graves. They’ve got absolutely nothing going for them. Which is why I decided that the hero of my book, The Demon’s Watch, would be a goblin. I love underdogs, you see. The type who have to use their wits to get out of trouble, because they’ve nothing else to fall back on. No spells, magic swords or superpowers. As a writer, I want to stack the odds against my heroes and make life hard for them. And no one has it harder than a goblin. The great Terry Pratchett knows this. In Snuff, his goblins aren’t evil (like in, say, The Hobbit). Instead they’re an abused underclass, forced to work as slaves on tobacco plantations. My goblins don’t have it as bad as that. Port Fayt, where my story is set, welcomes all creatures – goblin or troll; imp or elf. But these different people suffer from weight of expectation. Everyone thinks that elves are arrogant, trolls are stupid and goblins are thieves. But what if you’re a shy elf? Or a clever troll? Or an honest goblin? And what happens when Port Fayt is under threat from The League of the Light – humans who believe that goblins are foul demonspawn, and must all be put to death? Huge thanks to Raimy-rawr for giving me the chance to rant about goblins. Thanks for this Conrad, such a brillaint post and I agree that Goblins are totally the underdog! Grubb defintely deserves some respect as he is brilliant! Great post- I loved reading this! Maybe goblins will be the next big thing? 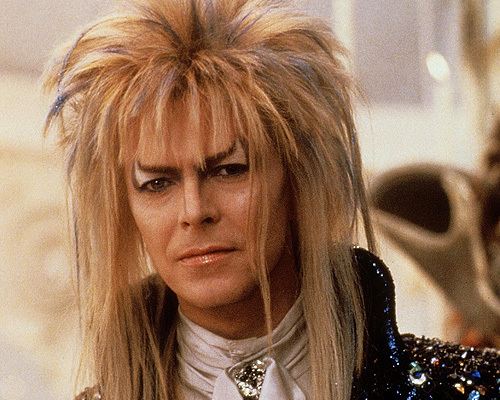 But David Bowie in his oh so tight trousers always freaked me out a bit in Labyrinth! Have you read The Hollow Kingdom by Clare B. Dunkle- that’s a great book and a goblin is the romantic hero. I’m looking forward to reading this one. Will also look at getting it in at the shop! Love this post! Now I really want to read this book. I always champion the underdog.